On gingerbread houses: my spirits lift. Makes the world seem sweet and dandy. Because Santa Claus can’t be far away! 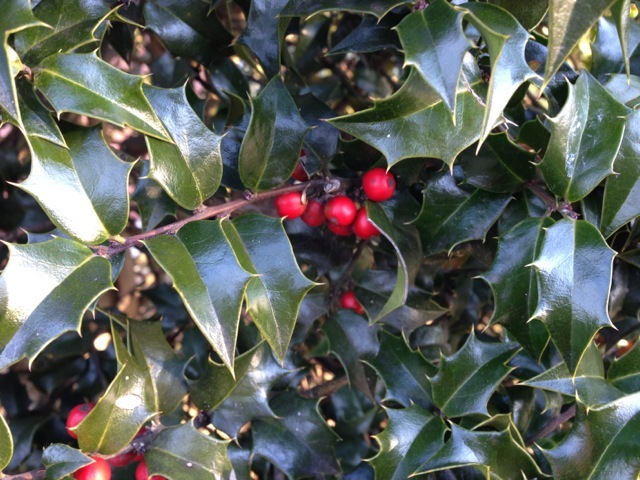 Like a holly berry, saved for a fairy’s toy. Note: This amazing gingerbread house was part of a display at Wilson Farms in Lexington, MA. My kids want to eat them, too. I just like to look at them. I found the song you remind me of. This was 1968. I was 12. I found it, too. That year, 1968, so many dark things happened, and yet, new life and joy happened, too. It was the year my hubby was born. His parents saved the paper on the day of his birth, and the headline is of Robert Kennedy’s assassination. It’s good to remember the good things and not dwell on the bad. You have that amazing ability. So rare, but so precious. I had never heard this song before. So sweet. I have no idea what this song is, but you remind me of it, because you create happiness, with every post. Happy New Year Brenda, to you and your family. ps- it’s the second song. although lelena was remarkble too…..it’s the second song that reminds me of you….. Your words were so surprising, they startled me. I looked up that song by Donovan, and found it here: https://www.youtube.com/watch?v=-cGWTAe3M6U It’s a sweet song, perfect for my site. Thank you for your words. To create happiness is my goal. Plenty of others focus on other goals. To find happiness in the smallest of ordinary objects is the magic that we should all learn, for the world to be a more peaceful place. I wish I knew it as a child, but it has taken me so very long to learn it. I can only share that wisdom at my age, and it’s the simplest of wisdoms. I hope every day brings you joy and happiness, in the new year and in every year. That’s a beautiful gingerbread house. I don’t suppose you got to eat any of it? Well I hope your Christmas was excellent and I hope you New Year’s is even better. I hope you and your family had a wonderful Christmas and wishing you a fantastic New Year. Aw, so cute!! I needed a snow fairy. Merry Christmas!! Aw, thanks my friend!! Merry Christmas!! Woo-hoo!! I bet you will be having fun. I am! Having fun still! Hope you are dancing and smiling! Love love love this so much! JOY and LOVE to you sweet Brenda! And to you, thinking of you and wishing you happy! Those are AMAZING gingerbread houses. Merry Christmas! Merry Merry Wonderful Christmas my friend! You give joy to the world thru your writing! Good imagery … and Merry Christmas to you … and thanks for the goodness you share with everyone here. Hope your festivities are full of love and peace. 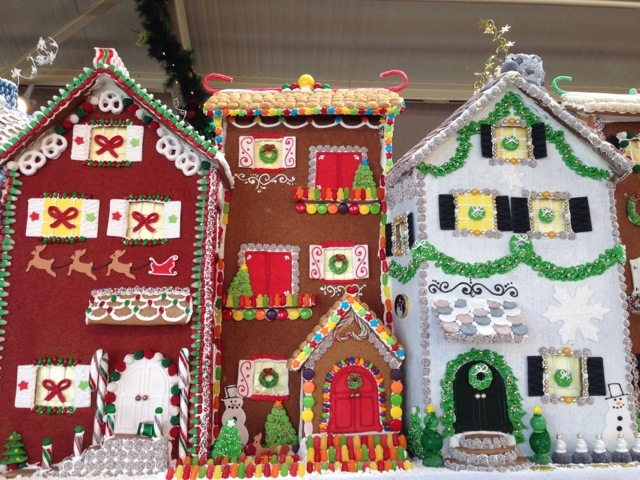 I’ve enjoyed your post this year and love the shot of the gingerbread houses. Cool! Have a blessed Christmas and a creative New Year. Merry Christmas, I was glad to see you’ve slowed down a bit. 🙂 Have a happy family time.